Hello. I’m Matt Posner, writer, teacher, and Dean of School of the Ages, American’s greatest magic school. Thanks for hosting me on indie Saturday. I released the third book of the School of the Ages series in August 2012. Although I began to publish these books in 2010, I have actually been working on the series since 2002, so it is now ten years since the whole thing started, and I am now much older, now an independent author in the United States (I have a publisher in India), and I am working within the context of decisions I made ten years ago. It was so different then. I was under forty, I was a yeshiva high school teacher, there was a new hole in the Manhattan skyline, and my greatest longing in the literary firmament was more Harry Potter. So different. These books were always intended to be about young people growing up, but I know that in 2002 I could not predict the ways they would grow, even more than I could do so for myself as I moved from a callow man not long out of graduate school and not long transplanted to this daunting city called New York, to whatever sort of man I am now, which is not for me to say. I think I am still shocked when people talk to me like an adult and a professional; I still feel like my teen characters a lot of the time! School of the Ages is a magic school on a hidden island in New York Harbor. The students come from New York City and other places in the world and they are very multicultural. Half of the school consists of Chasidic Jews studying Cabala. The magic is mostly invisible, and based on meditation and inner focus. The world is our own world, full of real-world places and events. There is no whimsy and more darkness than humor, but on the other hand, there are no prophecies, no “chosen ones,” no “dark lords” to take over the world. That has been done too much lately; I for one need a break from it. Instead, in my stories, teenagers are growing up, as teenagers do, dealing with their feelings and their increasing ability to cope with the world, as well as their recognition of how hard that can be. The War Against Love, which is the third School of the Ages book, was inspired by my desire to work with very grand epic themes. They are in the title. War is one, and love is the other. Thus the book has two plotlines that run parallel for the majority of the book. In one plotline, my protagonist Simon and his allies are forced to grow up too fast when a group of nasty wizards from Europe begin to attack them as part of a mortal struggle against their teacher, Dr. Archer, and School of the Ages itself. Simon is fifteen when he has decided that he is ready to kill an enemy. In a lot of fantasy literature, killing people is a routine fact of survival, but Simon grew up peacefully in Bayside, Queens and has never had to contemplate the consequences of taking life, what it means emotionally or spiritually. Yet at the same time that he has these doubts, he is also looking at enemies who have performed heinous acts of violence and with whom there is no possibility to reason or reconcile. And he decides to sacrifice a part of himself to do what has to be done. The book follows the consequences of this decision. In the other plotline, Simon has been grieving for over a year (throughout the second book of the series, in which he is pretty much an emotional zombie) about the loss of someone he loved, when that grief is challenged by meeting Ana, the daughter of the Arch-mage of Prague, a girl who represents an escape from that grief and a chance for emotional renewal. But she is not the easiest person to deal with and he does not know if he can ever gain her affection. And even if he does, there is still this war going on, and being in love raises the stakes. Should he put aside the commitment he made, and focus only on his intense motivation to win Ana’s heart? Or continue the battle, knowing how much greater the stakes are are when he has something he wants to come home to? As always, these themes for Simon are accompanied by similar content for the supporting cast. I am a big fan of dramatic foils and echoing motifs, and so the book looks at many romances troubled by war and strife, including Goldberry and her slimy boyfriend William breaking up over a perceived infidelity, the usually cute and goofy couple of elementalists Robbie and Avery strained by the arrival of an enemy from her past, and the consequences of Dr. Archer’s own relationship history. That being said, you will also leave The War Against Love with a sense of loss. War produces tragedy, in real life of course, and also in fiction. All my books are available for Kindle, and many for Nook. The School of the Ages series has three books so far of a planned five. Start with The Ghost in the Crystal, and then Level Three’s Dream. Then you may wish to dip into the two short story books, Tales of Christmas Magic and Sara Ghost, which are Kindle exclusives. And then there is The War Against Love. Book four, Simon Myth, is set for next year, and book five, The Wonderful Carol, is tentatively for 2014. Matt Posner is a writer and teacher from New York City. Originally from Miami, FL, Matt lives in Queens with Julie, his wife of more than ten years, and works in Brooklyn and Manhattan. Matt teaches high school English, with a fondness for special education students, and teaches world civilizations at Metropolitan College of New York. His interests include magic and the paranormal, literature, movies, history and culture, visual arts, world music, religion, photography, and professional wrestling history. 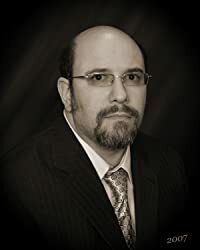 You can check out Matt Posner’s Amazon Author’s page for more info! To learn more about Matt, follow Matt on his official website: schooloftheages, Twitter: @schooloftheages and Facebook: schooloftheages. Drop by and say hi! Read an embedded sample from “The War Against Love” after the jump!